GSX-R1000 ABS - SUZUKI MOTOR - Magyar Suzuki Zrt. It has been three decades and more than a million sold since the GSX-R line was born. More than 15 years since the GSX-R1000 transformed the open sportbike class. It is the most powerful, hardest-accelerating, cleanest-running GSX-R ever built. 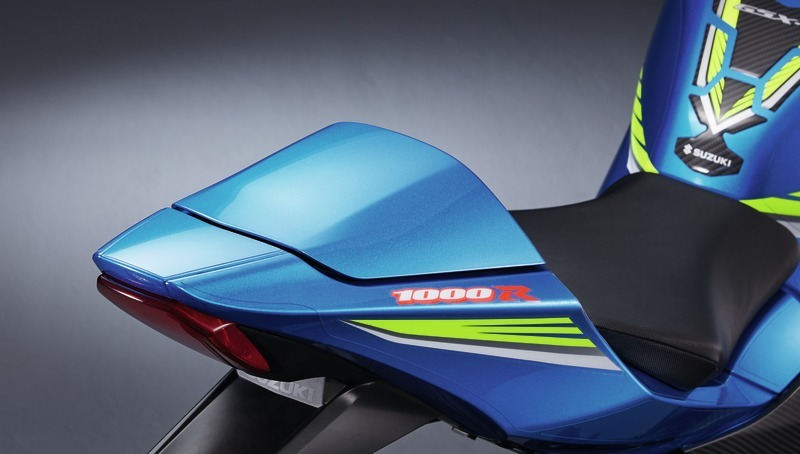 Available in two versions, the standard GSX-R1000 and the limited-production GSX-R1000R. Both models are equipped with the new Motion Track Brake System, which works with the IMU (Inertial Measurement Unit). The IMU constantly monitors vehicle movement in 6-directions along 3-axes, Pitch, Roll and Yaw. Using IMU input, the Motion Track Brake System reduces rear-wheel lift during very hard braking on the racetrack, and is especially effective on downhill sections of track. 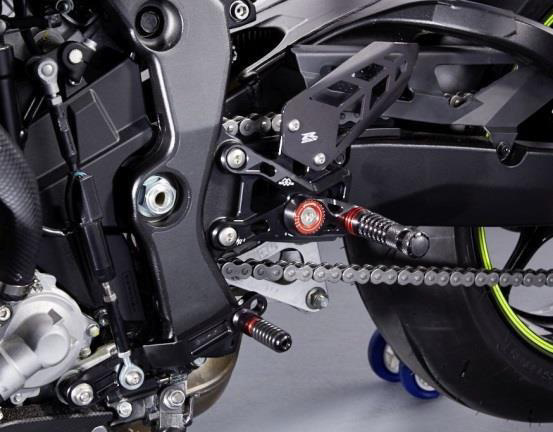 On the GSX-R1000R model, the system also optimises brake pressure when the motorcycle is leaning. New Brembo stainless steel brake discs are 10 mm larger in diameter, measuring 320mm. Each disc features a new hybrid mounting system using a 50/50 combination of 5 conventional spring loaded floating pin mounts and 5 Brembo T-drive floating mounts. The Brembo T-drive floating mounts are lighter yet have more contact area between the disc and inner carrier, requiring fewer mounts (10) than conventional mounts alone (12), minimising the weight gain from the larger discs. But T-drive mounts can also produce an audible rattle in certain conditions. Conventional spring-loaded pin mounts are slightly heavier and produce a smaller contact area, but are quieter. Using a combination of T-drive and pin mounts reduces rattle as well as requiring fewer mounting points. The GSX-R1000’s Brembo radial-mount, monoblock front brake calipers each have four 32mm pistons and work with a radial-pump, 19mm master cylinder. The rear brake system uses a single-piston caliper and a 220mm disc. 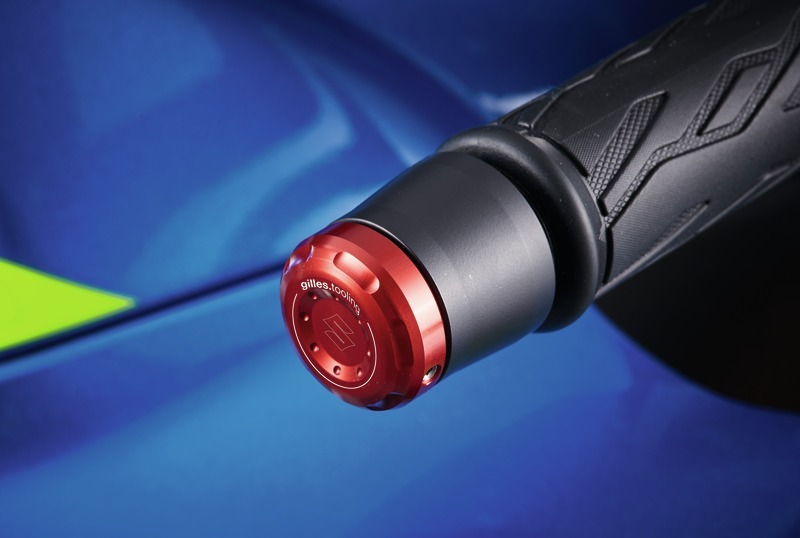 The end of the front brake lever is slotted to reduce the chance that wind pressure will induce brake drag at high speed. 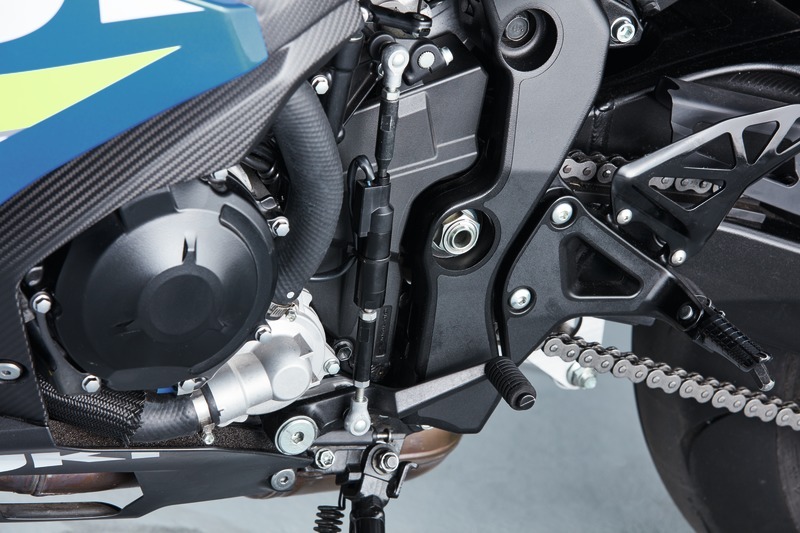 GSX-R1000 models have long used a servo-operated Suzuki Exhaust Tuning (SET) butterfly valve built into the mid- pipe to help maximize torque throughout the rpm range by adjusting back pressure based on engine rpm, throttle position and gear position. 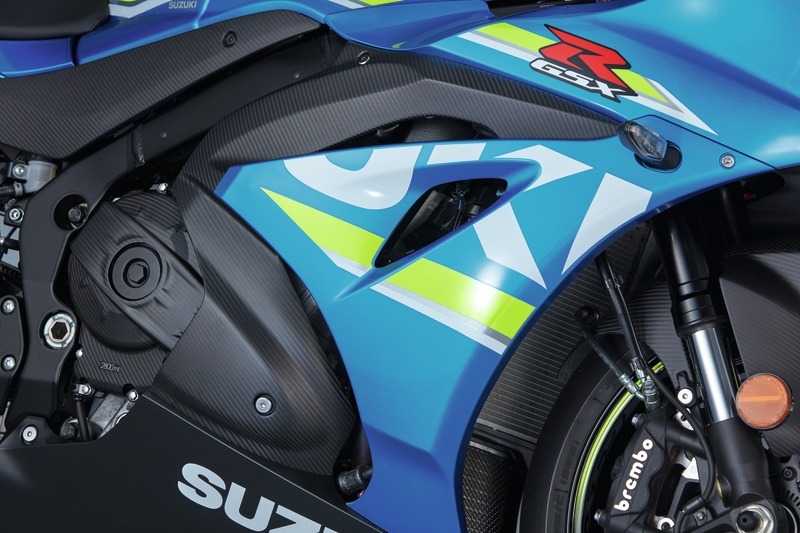 But the new GSX-R1000’s exhaust system improves on that idea with the addition of new Suzuki Exhaust Tuning-Alpha (SET-A) butterfly valves. A header balance tube connects the head pipes for cylinders #1 and #4, and another header balance tube connects the head pipes for cylinders #2 and #3, a design feature that normally increases high-rpm power by reducing back pressure and adding volume, at the expense of mid-range and lower-rpm power. Suzuki engineers added two servo-operated SET-A butterfly valves, one in each header balance tube. The SET-A valve in each header balance tube remains closed to enhance lower-rpm and mid-range power, then opens to increase volume, reduce back pressure and work with pressure waves to add significant power at higher rpm. 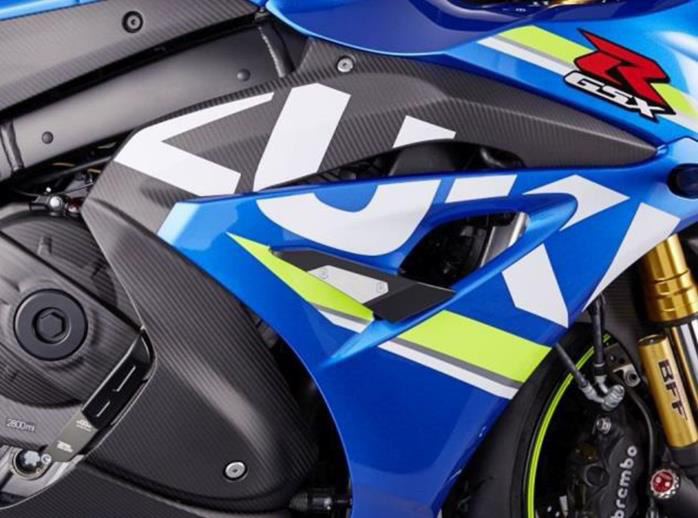 The new GSX-R1000 has MotoGP-inspired, sleeker and more aerodynamic bodywork designed to improve handling and top speed on the racetrack. The front fairing is 13mm narrower, and reshaped fairing ears are closer to the handlebars and produce better air flow around the rider’s hands and arms. 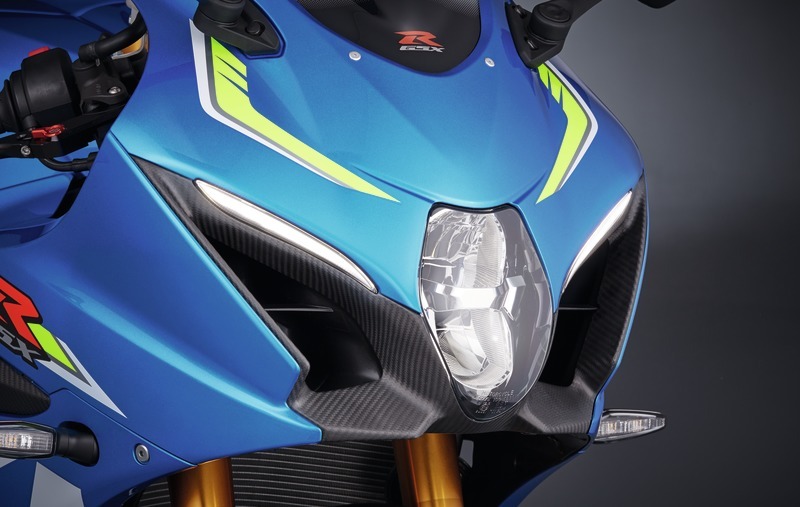 The lower leading edge of the fairing nose directs air into new Suzuki Ram-Air Direct (SRAD) intake ducts, which have a smoother internal shape that increases the flow of pressurised air into the air cleaner box. 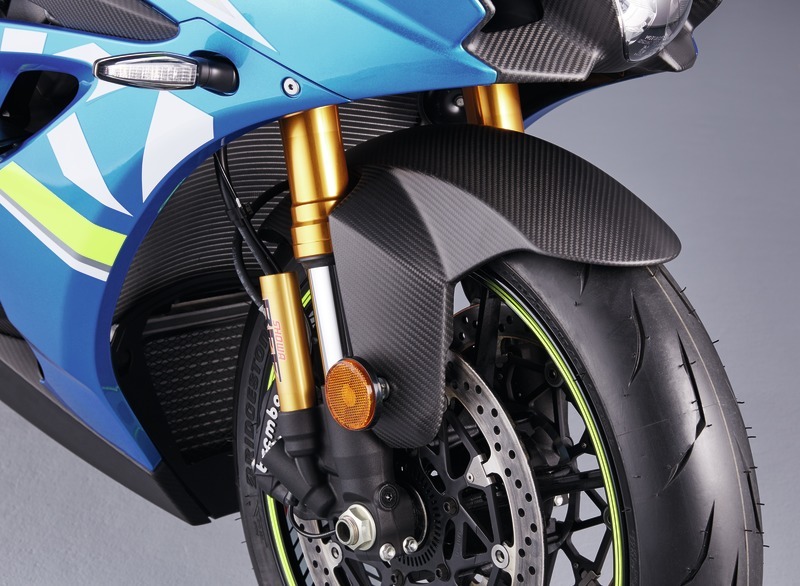 The fairing radiator cowl projects forward on each side, directing more cooling air into the radiator itself. The shape of the front fender increases down force, smoothes the flow of cooling air into the radiator and increases the air reaching the front brake calipers. The bodywork has a more connected flow line from the fairing nose to the tail section. It has a smaller frontal projected area and smoother wind-tunnel-developed lines, reducing the coefficient of drag and also reducing lift at racetrack speeds. It’s lighter, producing less moment of inertia and less leverage on the center of gravity. And it directs the air flow to improve engine and brake cooling while also increasing down force, rider wind protection, and engine efficiency. 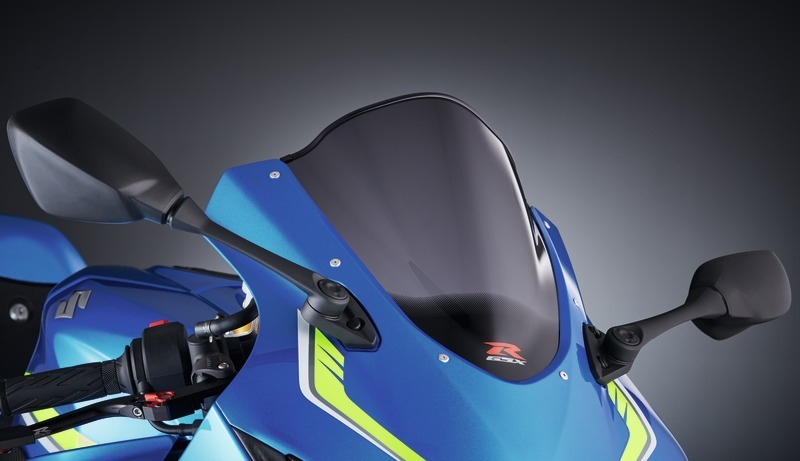 Which means that besides looking great, the new bodywork also helps the GSX-R1000 run, turn, and stop on the racetrack.